HOMER, Alaska (AP) — A cat named Stormy that has spent more than six years as a fixture in a remote Alaska general store is being forced out after officials notified the store owners that the cat's presence violates food safety standards. 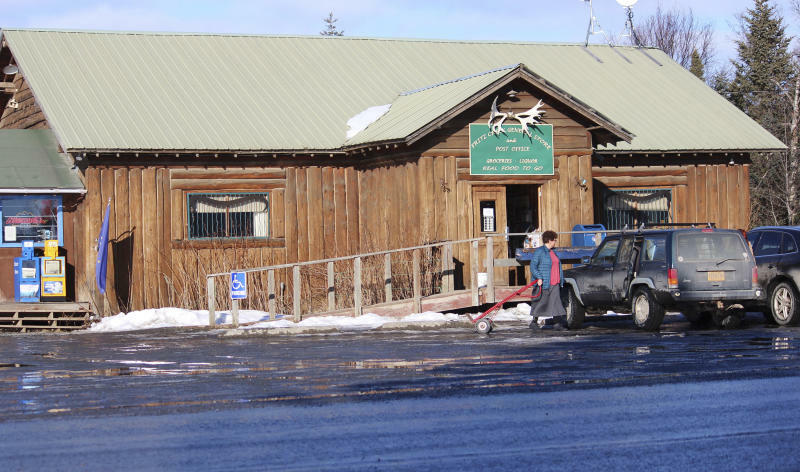 The Fritz Creek General Store near the small city of Homer has been home for Stormy since 2012, The Homer News reported Thursday. The slightly overweight black cat often lounges on one of the store's wooden chairs or solicits customers for a scratch on her head. The state Food Safety and Sanitation Program received a complaint about Stormy and an environmental health officer saw the cat in the store, said Jeremy Ayers, section manager for the agency. State food safety code prohibits pets in facilities that serve food, except for police dogs and service animals. Enforcement of the pet prohibition is not usually high on officials' priorities list, but the complaint and the officer's observation meant that action needed to be taken, Ayers said. Stormy is part of the store's and the rural community's culture, said Linda Chamberlain, who frequents the general store. Several people visit the shop just to greet the cat, she said. Certain regulations may work in Alaska metropolitan areas like Anchorage, but they do not always account for special circumstances in other places, Chamberlain said. Stormy might even make the store more hygienic, said Al Breitzman, a Fritz Creek regular, who said the cat helps reduce the rodent population. The general store is owned by Sean Maryott and Diana Carbonell. They didn't return the newspaper's call seeking comment. Sean Maryott's sister, Bridget Maryott, said Stormy will live with her family.